Built for technical alpine ascents and demanding ski descents, the Procline Support combines support with exceptional agility. The patent-pending 360° rotating cuff delivers unrivaled vertical and lateral ankle freedom while climbing, then locks down for the stiffness and power transfer necessary for skiing. The thermoformable Procline Support liner provides flexible support, the patent-pending Hybrid Closure System s design secures the foot, and a full-coverage gaiter seals out snow. 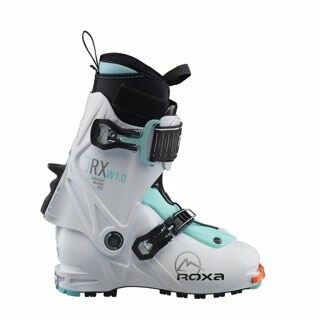 New for the 2016 winter season, ARC TERYX proudly expands its footwear collection with a new category including the Procline Boot, the company s first ski alpinism boot that boasts multiple game-changing, patented performance features. 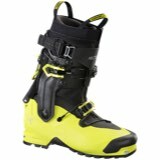 The only hybrid ski boot of its kind, the Procline Boot combines all of the features of a classic alpine climbing boot with those of a lightweight ski mountaineering boot to create a new benchmark of agility and lightness for mixed ice/rock ascents with unmatched support and power for technical ski descents. 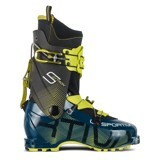 Featuring a revolutionary, patented two-piece carbon fiber upper cuff system that is able to rotate both vertically (75 ) and laterally (23 / 12 ), the Procline closes the performance gap between a traditional alpine climbing boot and a plastic ski touring boot. This groundbreaking cuff design allows for greater freedom of movement in the ankle for climbing the most technical mixed/ice routes, for easier and safer skin control on steep traverses, and the stiffness and support for skiing the steepest snowfields and couloirs with confidence, said Federico Sbrissa, ARC TERYX Footwear Product Line Manager. With a lower shell constructed of injected Grilamid and a fully water and snowproof gaiter system, the Procline boot provides both protection and insulation from the elements. The fully integrated CNC machined 2-buckle system is designed to offer the best qualities of a classic mechanical buckle with the customized fit of a cable system for a smooth and secure closure of the lower shell. The lower buckle is fully integrated and protected on the lower shell for added durability even while climbing or skinning on technical terrain. Compatible only with proven tech-style bindings, the Procline boot comes equipped with Dynafit® certified pin inserts, a double compound Vibram® outsole and 3D molded rubber toe caps to aid in climbing performance and protection. The collection is comprised of a premium unisex version, the Procline Carbon, with a carbon fiber cuff for improved downhill performance and lateral edge control as well as the men s Procline and women s Procline models, boasting an innovative carbon fiber charged Grilamid cuff for a more progressive and forgiving flex. 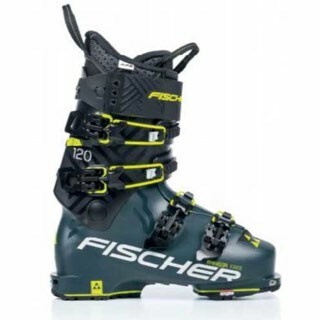 Each model is offered with two different liner options; a 180gr lite liner focused on walkability and reduced weight and a 250gr support liner with a reinforced tongue and collar for improved downhill performance. All liners can be thermoformed for a customized fit. 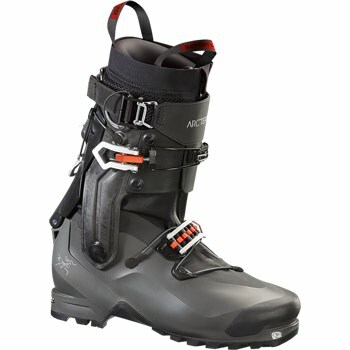 Designed and built for technical ascents and big mountain descents, the new ARC TERYX Procline Boot is the only boot offering the best features of the entire ski boot spectrum - capable of taking you on long, technical ascents, enabling you to climb the hardest mixed/ice routes, and providing an unmatched level of performance and support for the descent, Sbrissa added.